We all know the Flinstones. Everyone can remember their foot-powered vehicles. A group of individuals went ahead and created a new version on the Bedrock-Age Vehicle. And guess what? This vehicle can go 60MPH! You can watch a video of this Human Car in action. Take that Prius! 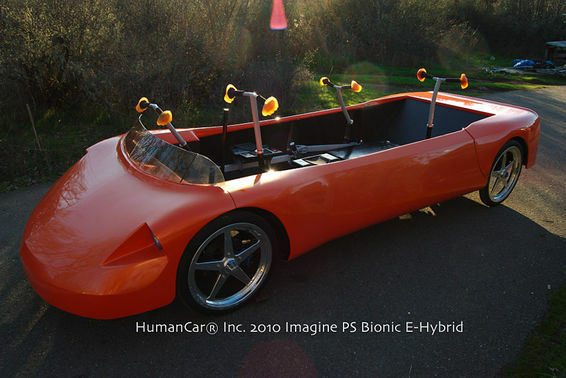 Behold the “Human Car” created by Humancar Inc. And it doesn’t have a top either, so you won’t have to worry about your dinosaur needing room to stick its head out.